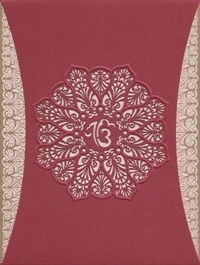 Ik Onkar in the center with floral laser cut all around adorns the main card. 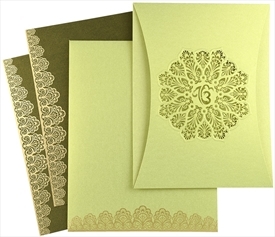 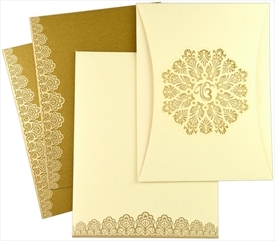 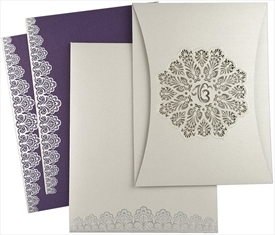 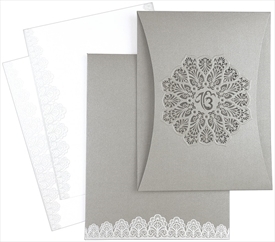 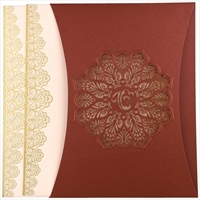 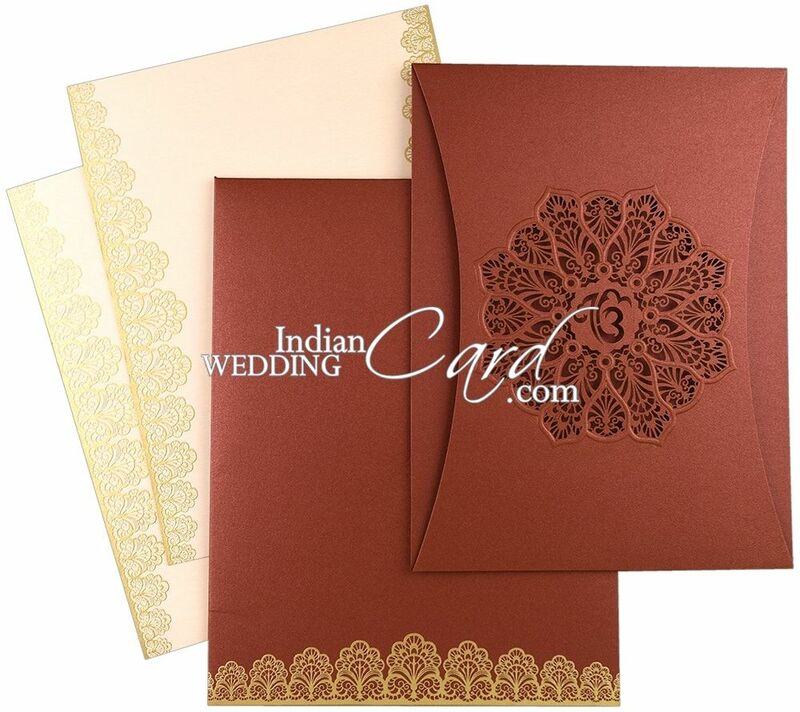 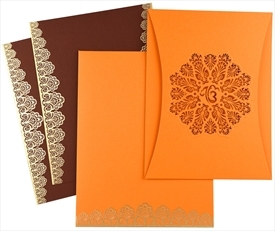 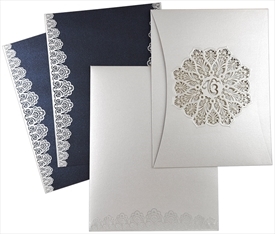 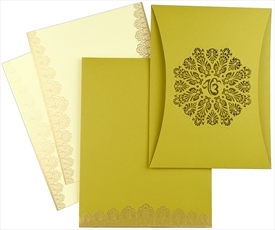 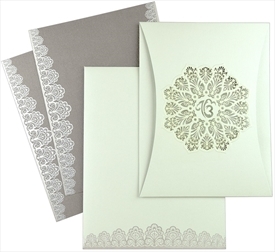 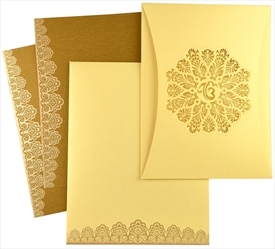 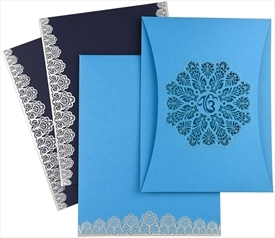 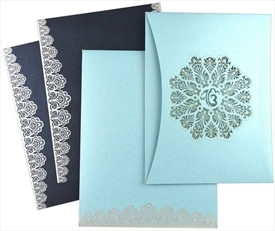 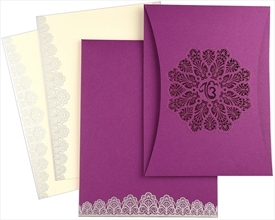 Inserts have gold motif border on the sides, visible through the arc shaped cuts which beautifies the sliding folder. 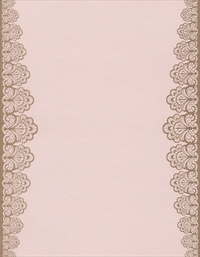 Inserts slide out from sides. 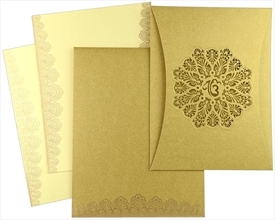 The envelope is also decorated with gold motif border at the bottom. 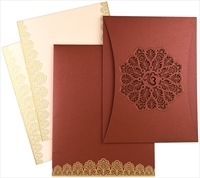 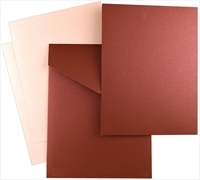 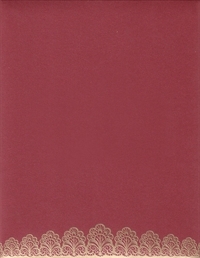 Maroon shimmer paper (250 gsm) for main card and envelope. 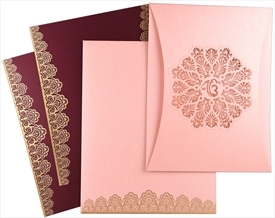 2 Inserts of light pink shimmer paper (250 gsm).